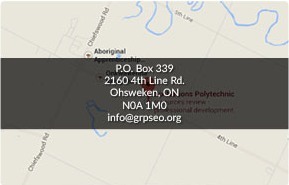 Welcome to the Grand River Post Secondary Education Office (GRPSEO) website! We provide financial education assistance for students looking to continue their education at a post-secondary institution and are governed by a Board of Directors. Clients of the GRPSEO are potential and present students with the Grand River Territory lineage. We are committed to aiding students with their educational goals. With increased demand and limited resources, funding is limited and there is no guarantee for approval. Each year, the available post secondary funding falls short of what is required by our students. This is in part due to the annually increased tuition rates at post-secondary institutions and an increase in the number of eligible post secondary applicants from Six Nations. With that said, GRPSEO is here to provide funding, as well as provide information about alternative sources of funding to help you become successful in your post secondary education. This website was designed to help facilitate student inquiries as best as possible. Should you have any questions, please do not hesitate to contact the GRPSEO. You can also find GRPSEO on Facebook and Twitter for quick information, updates and reminders! Deadline for FALL & FALL/WINTER applications. Marks progress.. If you are looking to apply for financial assistance for post-secondary education, we have options available to you. Click here to go to our online application process. Apply now for Fall and Fall/Winter 2019. Deadline is MAY 1st, 2019. Even though funding is limited, there are other alternative sources of funding that are available. Click here for more information on alternative sources of funding. All of our staff here at GRPSEO have direct e-mail, direct phone lines and direct voice-mails that you can contact if you have specific questions and/or answers.